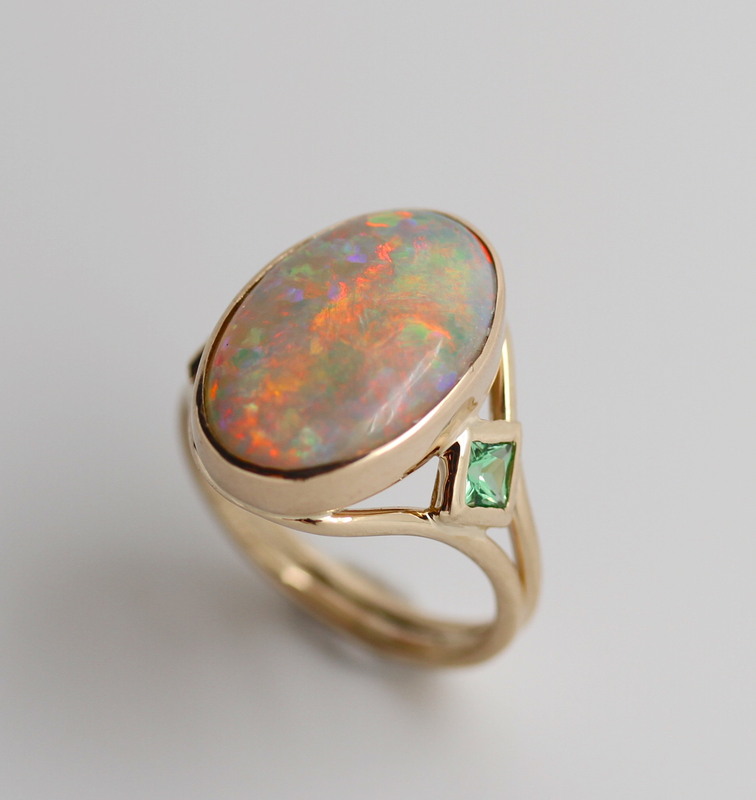 As the most stable form of color in the universe, gemstones never fade. These artisan jewelry pieces were designed with clients’ under-appreciated gems that had languished for years. This is a great approach to sustainable jewelry design and manufacture: use what you already have. You can also recycle gold into new pieces of jewelry. Now is a good time to meet with Lainey to plan a custom, eco-friendly, wearable art gift for the holidays. Call or email to make an appointment: 678-662-6156, lp@elainadesigns.com. By adding a touch of color here and there, a new gem song emerges. If you have smaller stones that aren’t exciting enough alone, this is a convenient opportunity to select complimentary, dynamic color. Choose from a collection of gems at my show with Wild & Petsch in NW Atlanta, October 20 & 21. Rare Abalone Pearl sashays below Kate’s trio of small blue sapphires, as two white sapphires join the procession in recycled 14K yellow gold. 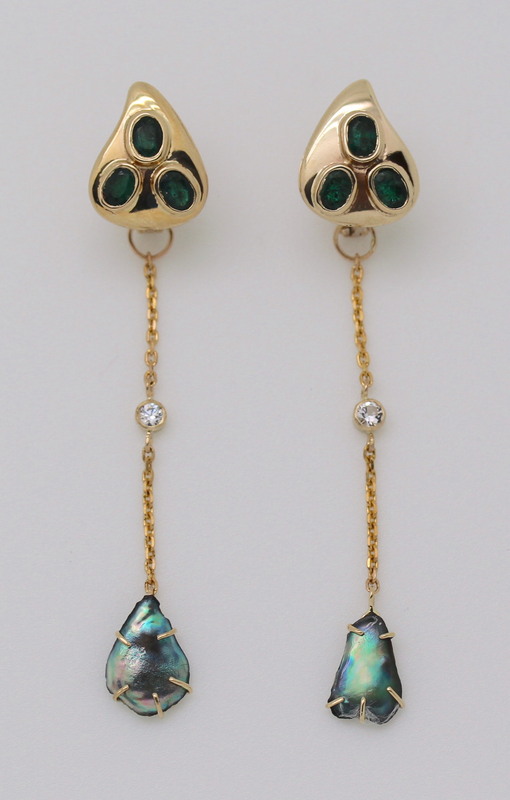 Tsavorite Garnets frame Kay’s spectacular heirloom Opal in an 18K yellow gold square dance. 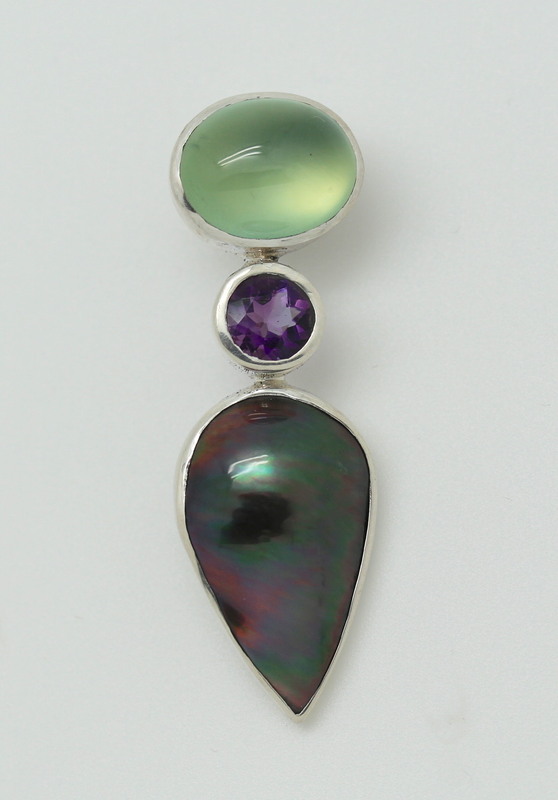 Pale Prehnite added to Beth’s Amethyst and Black Mabe Pearl draws a color chord that taps its own beat in this silver sculptural pendant.